In 1886, the Bradford Congregational Church signed a contract for a new organ with Cole & Woodberry Bros. of Boston, Massachusetts. The three builders, James Cole, in partnership with James and Jesse Woodberry, brought their organ building experience from England, though for a few years before forming their partnership, James and Jesse Woodberry worked for Hook and Hastings, the pre-eminent Boston organ builder of the day. The organ was completed and dedicated in 1887. It is probable that this was the first instrument produced by their workshop. The cost of the new organ was $1,500.00. The original organ consisted of nine ranks of pipes with a manual compass of 58 notes and a pedal compass of 27 notes. The organ case was made from chestnut with walnut accents, inspired by the architecture of the church. The façade pipes were stenciled. In 1911 a “Kinetic” electric organ blower was installed at a cost of “$193.00 less 10%”. Records indicate that the blower was shipped to D. H. Bailey of Bradford. The hand pumping mechanism was disabled at this time. 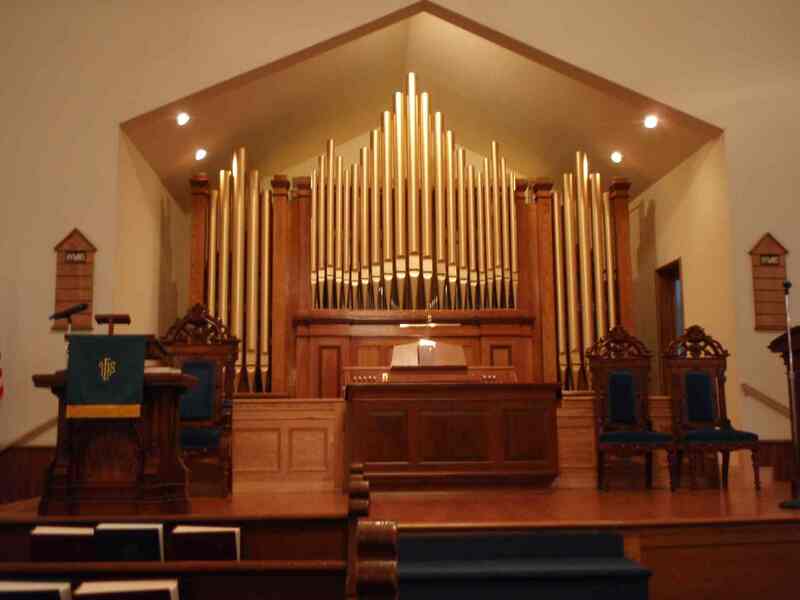 In 1960, a new organ was built by Frederick Johnson, Jr. of Norwich, Vermont. The original mechanical action mechanism was discarded in favor of electro-pneumatic action with a detached, electric action console. Fortunately, much of the existing Cole and Woodberry pipework was retained though rearranged to provide a more “modern” sound. Four new ranks of pipes were added with the finished instrument now totaling thirteen ranks. In the early 1990’s the electro-pneumatic mechanism had become unreliable as a result of poor quality leather used in 1960 and faulty electrical controls. The mechanism of the organ was repaired in 1993 by the Carrey Organ Co. of Troy, New York. New electrical controls were provided and the instrument was releathered. A trumpet rank was also added to the organ. Following the 1993 repairs, the organ continued to be problematic with frequent mechanical and electrical failures. Eventually, the decision was made to build a new organ with a return to a mechanical key action and the tonal sensibility of the original Cole & Woodberry Bros. instrument. The new Russell & Co. organ is grounded in the tonal and mechanical success of the original Cole and Woodberry Bros. instrument. 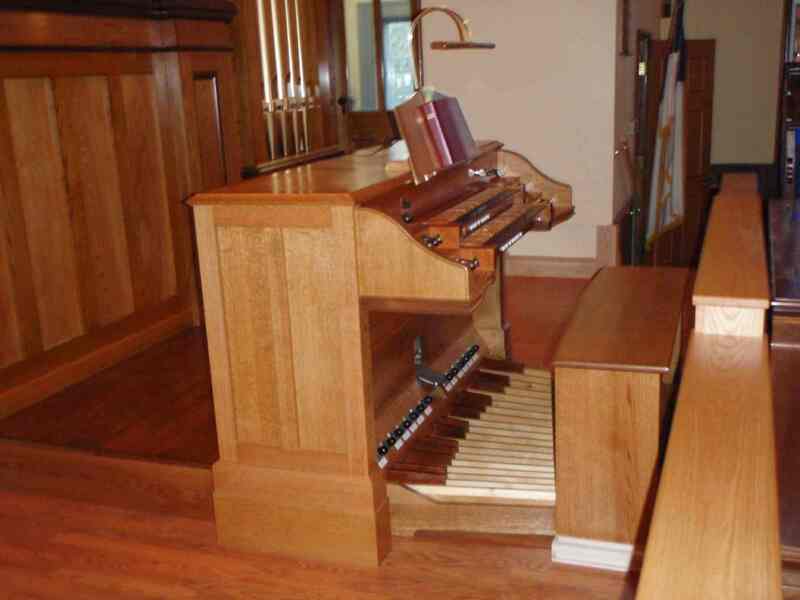 The instrument features a detached organ console made from quarter sawn red oak with cherry accents. The manual keyboards are plated with ebony naturals and cherry sharps and utilize balanced mechanical key action. The pedal keyboard is made to BDO standards with maple naturals and rosewood sharps. Electric stop action and a multi-memory combination action have been provided to facilitate ease of making registration changes. The original Cole and Woodberry Bros. organ case and façade pipes have been retained and repaired. Two new flanking organ cases which copy the construction and detail of the 1886 work have been made to contain the much larger instrument behind. 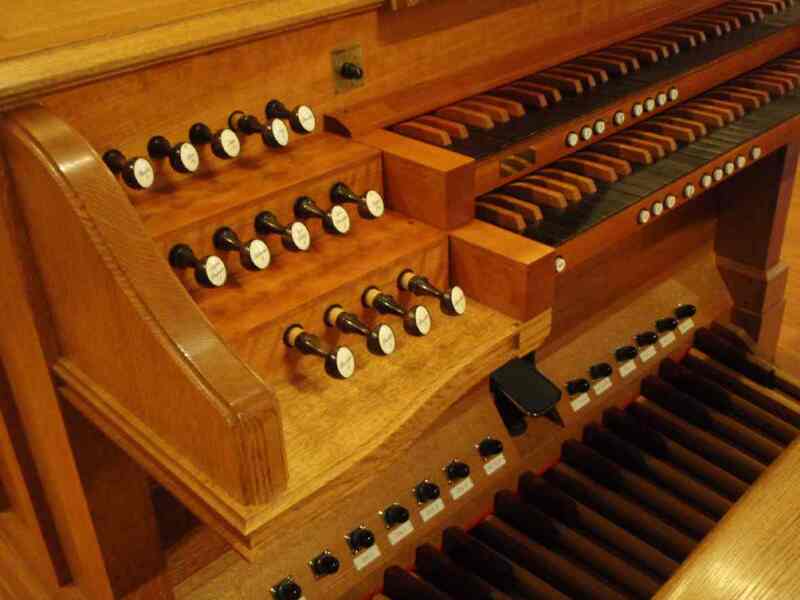 The mechanism of the organ is entirely new, utilizing slider and pallet windchests with a direct mechanical connection to the organ console for the key action. Six ranks of pipes from the original Cole and Woodberry Bros. organ, which were still in good condition, have been retained and revoiced to restore the warm rich tone of their original voicing. Three ranks of pipes added by Frederick Johnson have also been retained, though with considerable revoicing. The other pipework in the organ is either new or has been rebuilt from other pre-existing pipes in the builder’s stock. The Oboe and Trumpet pipes were obtained from the Organ Clearing House. While the original builder of these two ranks is unknown, the construction and tone quality are typical of 19th century American organ building. The tonal palette of the new instrument has been greatly enhanced. The instrument now contains 22 ranks with a manual compass of 61 notes and a pedal compass of 32 notes. The tonal design, while grounded in nineteenth century American organ building has been expanded to provide a versatile platform for music making. 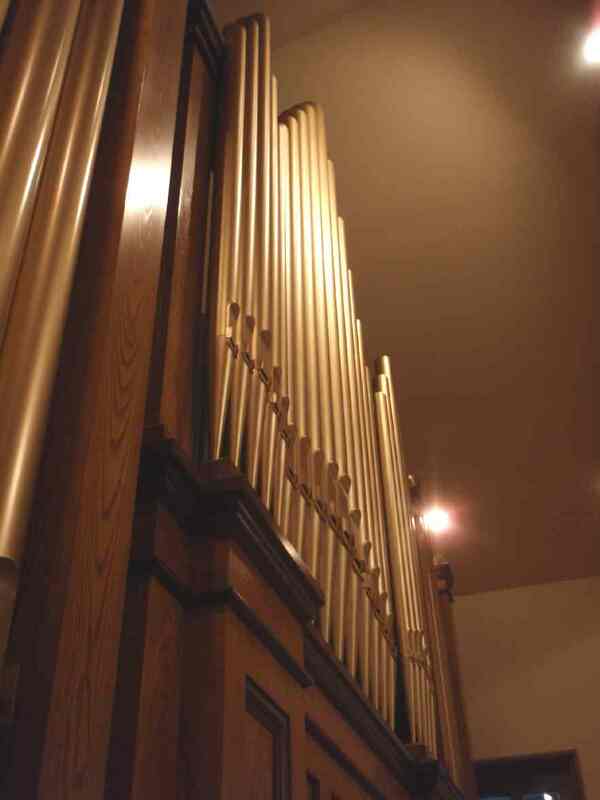 In addition to providing sufficient and varied tonal resources for its primary role in supporting congregational worship and choral accompaniment, the tonal design of the instrument is sufficiently complete that it is well suited to the performance of organ literature from many periods of history.